Super Mario Odyssey gives you the option of dressing up Mario in a number of outfits, as no doubt you know. Some are brand new, and some call back to previous titles in which Mario has appeared, but all of them look extremely snazzy. We've compiled all 25 of the currently revealed outfits in the handy-dandy video above, so you too can feast your eyes on Mario's various delightful clothing options. Do you hope there's more in the full game? Let us know down there in the comments. Really??? Can't we just leave anything a secret these days. Not watching this or any Odyssey related stuff anymore. Media blackout! Yeah, I know, it is not mandatory to watch this, but I feel like the whole game will be spoiled on the internet before the release. Like weeks before the release. I want to resist watching this, but I know I’m weak. Edit: I watched it. I wish I hadn’t. Thanks Alex for getting than damn song stuck in my head again. gonna be humming it all week now. Lalala, I can neither hear you, Alex, nor see your beautiful spoilery video. I may not care as much about spoilers as other people do but watching gameplay just hurts my heart. Trailers are fine but watching gameplay videos reminds me that there are people out there who've already played the game. No thanks. Though I appreciate the effort, this game is being spoiled too much. 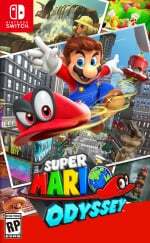 This game is a major turn-off for me as a Mario fan. no thanks. i hope it does well though (im sure it will). I hated Mario 64 and Sunshine, but loved all the other Mario games. I like the Super Mario Maker outfit the most, Mario looks so adorably plump in yellow . I like Mario maker outfit. Please don't use the word 'gawk' again. Spoilers? For goodness sake, they're outfits. I'm not seeing nothing related to this game because I wanna be amazed when I get it. @Franklin It's still in-game content, and not many want to know what's in the game just to keep it a surprise when they discover it for themselves. So, yeah, it's still a spoiler no matter how many hairs you want to split. No hairs were split in the making of said comment. Thisis hardly a spoiler: 21 of these outfits have been shown in videos. I didn't know about the Clown outfit and a couple of others, tbh. 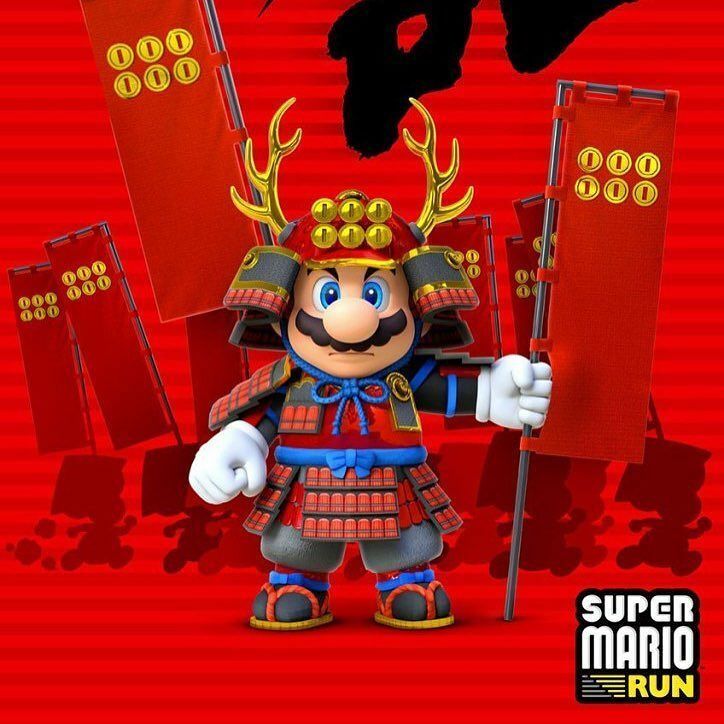 I wonder if there is a Samurai outfit on Mario Odyssey. Last year, we got a hint from Shigeru Miyamoto T-Shirt with Samurai Mario picture. No more info! no more info! Nope, not watching. Not even new screen shots. 27 October will be the day. Is that Luffy Mario? Monkey D. Mario? What's going on here? For some, this might help sell the game. If I was a kid, I'd watch the video and get even more hyped. As an adult who is buying it, and have bought other games recently, I don't look beyond e3 trailers, or really dig. Especially on games like Zelda and Metroid, I like to be caught off guard. Like with Monster Hunter, people will watch all these videos on new stuff coming... and I can't. I have to experience it first hand then read up on it. I like to be surprised by major content and grow into it. It also has a lot to do with how I manage my time and my focus on things. So, I'll pass on this video, but its nice to know Mario has a ton of costumes. Even if I did see them all, it is in fact, just Mario.